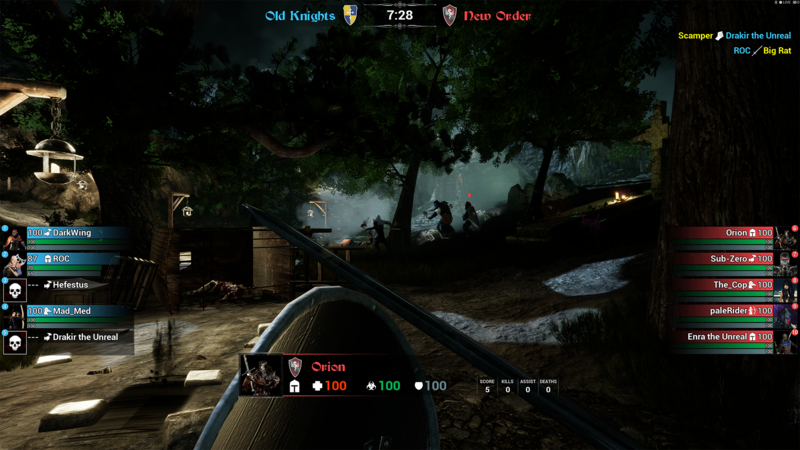 From the creator of Age of Chivalry comes WarFallen, a first person action game set in a medieval themed fictional world. It is a multiplayer game that is designed to be played together with other players online. 2 factions, 4 classes and lots of infected. 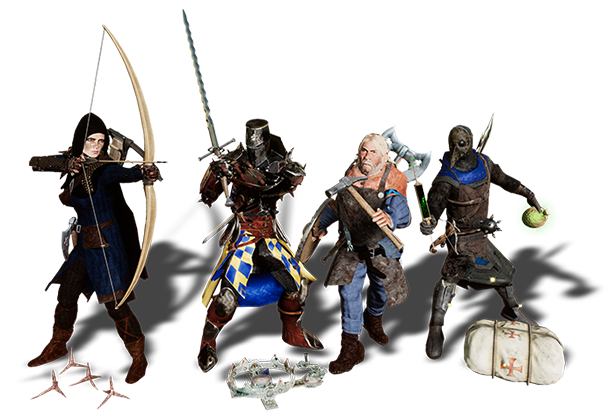 Play as Archer, Crusader, Plague Doctor or Blacksmith. It all begun hundred of years ago in a land divided by two rival factions. Both factions believe they have the right to the throne, and have been waging war over the crown for as long as anyone can remember. But death takes its toll, corpses and blood-red rivers from all the WarFallen makes the perfect growing grounds for diseases of all kinds. Where and why it all begun, is still unknown. At first it was only a few infected, in a small village. But it rapidly grew and spread all over the lands. Take sides in the battle against a greater enemy. Fight the enemy, the infection and in the end be the last one standing! Choose your style of gaming, be the team support or on the front-line. 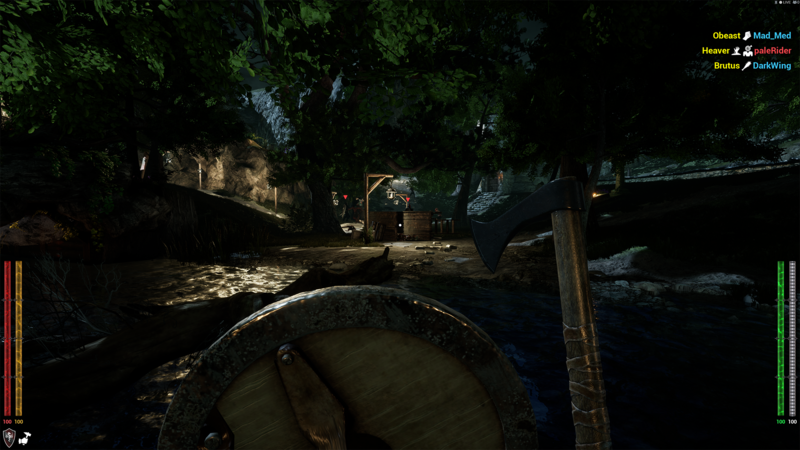 Play as an Archer, Crusader, Plague Doctor or as a Blacksmith. The four classes are each needed to form the perfect team and become the winners. Each map tells its story and has its own style of gameplay. 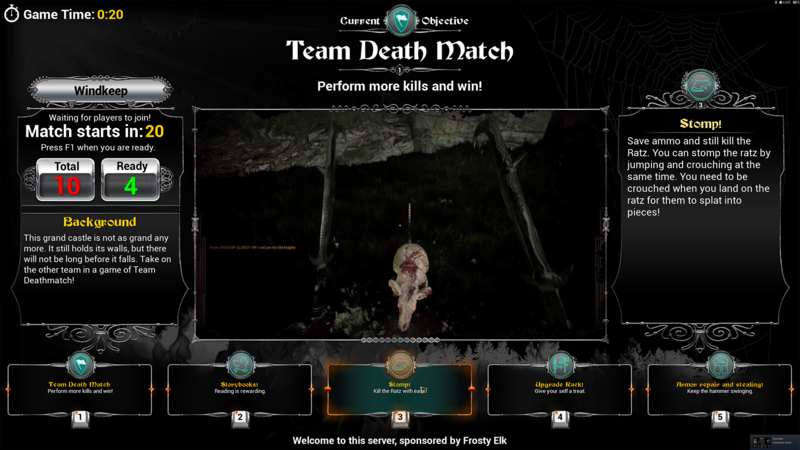 From a carrying a ladder to besiege a castle wall to killing 1000 of Infected. 2 factions, 4 classes and lots of infected. Play as Archer, Crusader, Plague Doctor or Blacksmith. Each character is needed to make up a perfect team. The Archer is the light class, she has speed and agility as well as impressive skills with ranged weapons. The bow, and crossbow are the favorites in her arsenal. A small axe can be used for quick attacks in close quarters. To keep her enemies at range, she has a bag full of caltrops to slow them down. The almost perfect soldier. He is all that you want from a melee fighter. Swords and shields are his weapons of choice. For ranged combat he has daggers that he can throw. If you loose your head to a sword, then there is no need to call on the doctor. But if you are hurt or bleeding, then the doctor has the medicine to get you going. Whatever the toxic is, that the good doctor keeps in his syringe matters not, as long as he gets you going. Better keep him as a friend, as the toxic mixtures that he keeps can also be as deadly for a foe. He also has an axe for close encounters and has bottles of fumes that blurs the vision and makes for a great escape. With his hammer he can do miracles. He can build siege engines, repair broken structures. He also manufactures weapons, arrows and other stuff you need to keep the battle going. Fire is an element that he knows well and use in all forms. Build Ammocrates, Bear traps or Firecages to aid your team. All weapons can be used as Melee or Ranged. Block with your bow or throw your greatsword. Versatile Gamemode - Each level has its own gamestyle. Siege castles, Raid villages, Defend an outpost or battle for the last drop or blood. 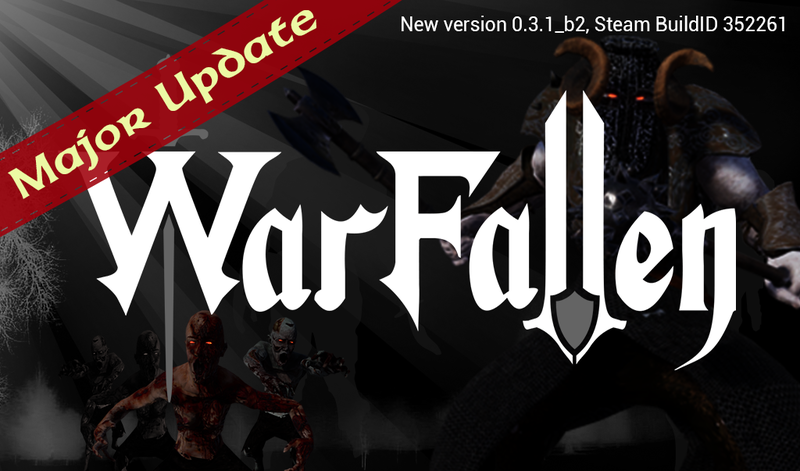 WarFallen - Major update and Lunar Sales discount! 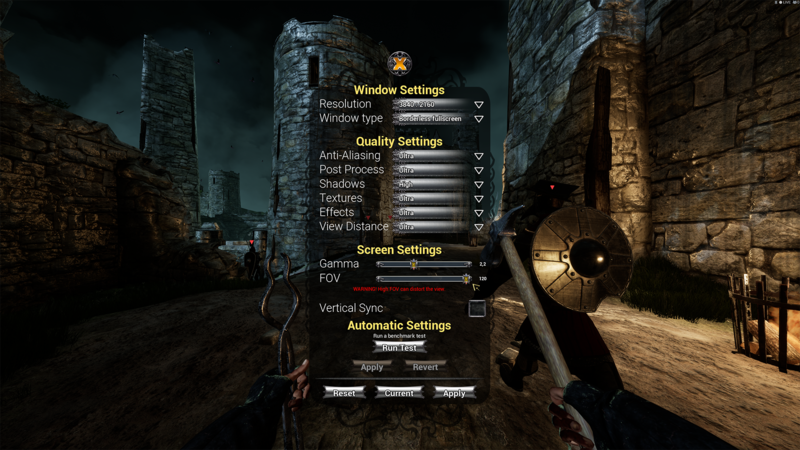 * Adjustable FOV 90-120, default is 97. * Extensive Objective information for each objective on the maps. * Spectator Mode, spectate in 1P, 3P or free roam. * Croc can now be stomped. On stomp, Croc takes 100 in damage. * Stamina - 5 seconds free sprint after spawn. 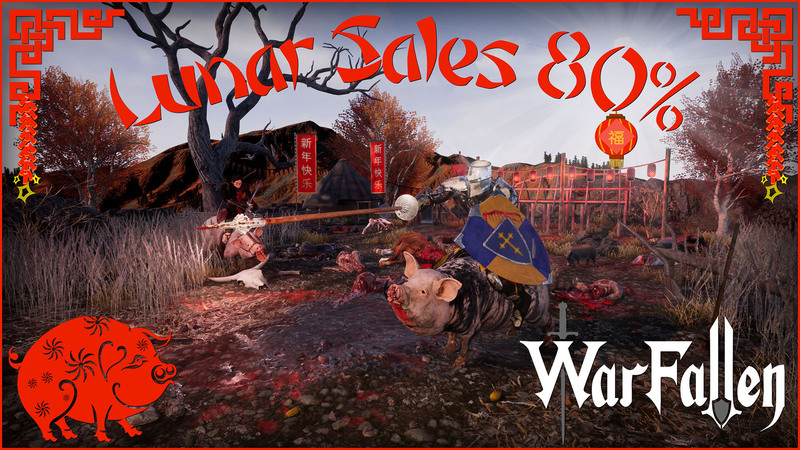 During the Lunar Sales on Steam, you can get WarFallen at 80% discount. WarFallen wishes everyone a Merry Christmas! WarFallen wishes everyone a Merry Christmas! During the Steam winter sales you can get the game at 50% discount.